Sports Rendezvous: Kane rescues England with injury-time winner against Tunisia. Kane rescues England with injury-time winner against Tunisia. 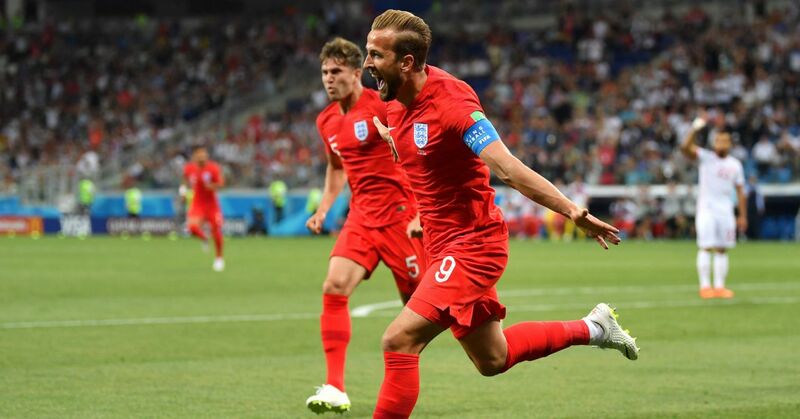 Two goals from Harry Kane has rescued England in their World Cup opener against Tunisia in Volgograd. England’s seemingly age-old problem of struggling to break down a committed and organised defence so nearly came back to haunt them once again. Kane scored an 11th minute tap-in and and injury time header either side of a penalty from Ferjani Sassi as England won 2-1 to go level on points with Belgium at the top of Group G.
However, the Jekyll and Hyde performance is unlikely to strike fear into any of their World Cup rivals and Belgium will remain favourites for the group based on this performance. Playing in front of a partisan crowd, Gareth Southgate’s Three Lions seemed to cower under the spotlight, as the pressure – and the noise in the crowd – ramped up in the second half.